The delightful little town of Lameroo is located in the Mallee region of South Australia around 200km east of Adelaide near the state border with Victoria. Over time many people have left Lameroo for a variety of reasons. It may have been due to a desire to change careers, looking for work elsewhere, being in transient employment perhaps being a bank officer, nurse or school teacher. People come and go. Most if not all are very sad to leave. Very often though these people and the locals too have very fond memories of their time living in the town and surrounding area so it's really great catch up with each other. 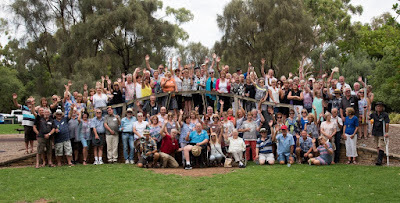 So it is very much appreciated that two ex Lamerooites have arranged for expats and locals to meet, every two years at Kensington Park, Adelaide during the second weekend of February. 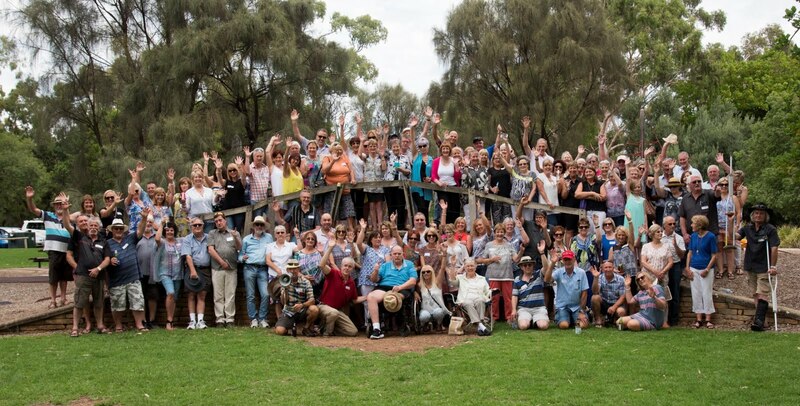 Thanks heaps and heaps to Jill Skinner and Lynton Paul for all the work they do to make sure we are all advised of the reunion and that the event goes off really well. Each time this event has been run it has been really hot, for some too hot, so it was a great relief that this year's reunion was with really beautiful weather. A delightful day especially in the magnificent gums and grounds of Kensington Park. If you'd like to see some of the shots I took during the day jump over to this site, it's a gallery in my photographic site at www.boxflat.net. If you would like to download any or all of the shots simply click on the desired image until it comes up in a 'large' size. Right click on the image (or there is small menu upper left) to see an option to download. This is best done on a desktop or laptop rather than a tablet or mobile phone. Smaller images are also available on a Facebook group that Jill has setup, simply search for "Lameroo School Reunion".